- Rooftop terrace with palapa, solarium and swimming pool. The building offers an atmosphere of privacy and relaxation with the added benefit of safety and comfort. 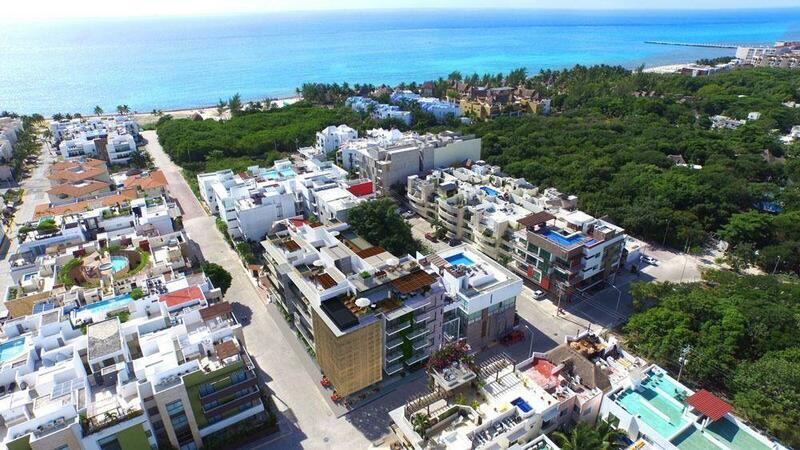 Located in an area of high appreciation in the heart of Playa del Carmen, only four blocks away from the famous Fifth Avenue, walking distance to restaurants, banks, supermarkets and shopping malls, close to the glamourous Mamita’s Beach.